Large areas of normally inaccessible waterfront land in Sydney's inner Harbour will be opened up to the public this Sunday April 12. It will be the first opportunity for Sydneysiders to see up close what the area is like today, learn about its past, and importantly - consider its future. 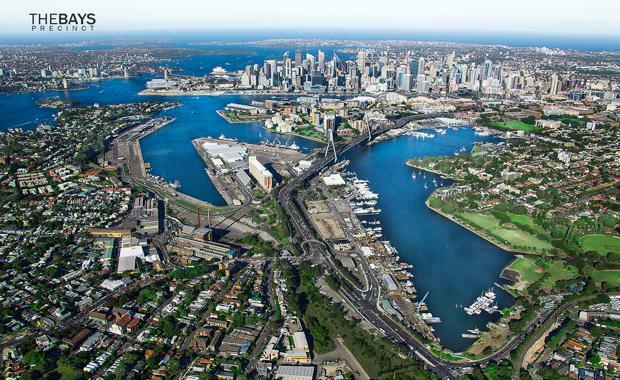 The Bays Precinct Sydney Discovery Day will be a full day of family activities and entertainment around Blackwattle Bay, Rozelle Bay and White Bay as part of UrbanGrowth NSW's project to transform the area by creating new destinations and unlocking public access. Map of Sydney's inner harbour with the areas of urban renewal in red.